Conquest – Jack Campbell Jr.
ConQuest Kansas City is Next Weekend! As usual, I will be at ConQuest Kansas City on Memorial Weekend for the local science fiction and fantasy convention. I will be on a number of panels with other fantastic authors. You an find the rest of the schedule, including all of the artists appearing, at the official Conquest Kansas City website. Saturday will also be my birthday, so be sure to stop by and chat. When I’m not in panels, I can generally be found in the bar or the lobby. 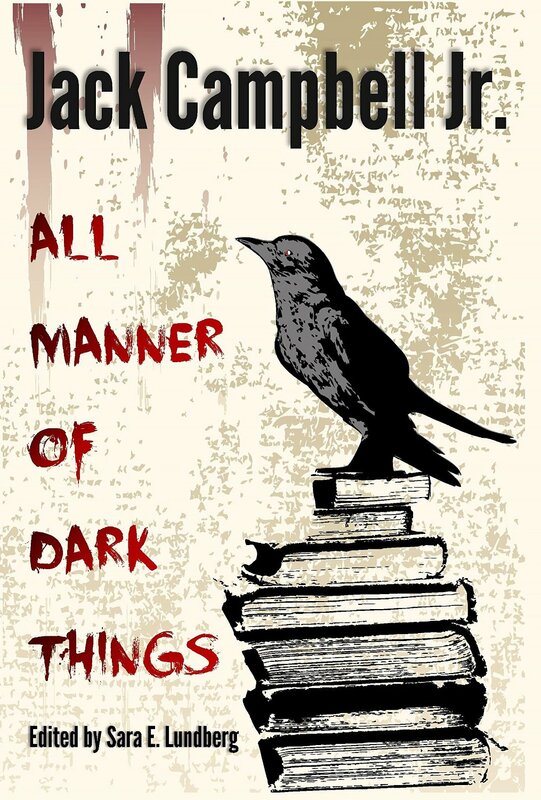 I will have a few copies of All Manner of Dark Things available for purchase, and I am always happy to chat about books and writing. Oh, it has been a minute, hasn’t it? Stephen King talks about “Constant Readers.” I have to admit that I have been a “Sporadic Blogger.” Many things have happened. I completed a post-baccalaureate program in writing at the University of California at Berkeley. I had a lot of fun, but I still wanted more. I decided to look at MFA programs, with the additional idea that I might be able to teach in the future. My day job doesn’t allow for a lot of flexibility. My life allows for even less. I sought out low-residency and online MFA programs that would be friendly to genre writers, and that did not have winter residencies. Winters are my busiest time at work. I found three: Emerson College, Western State Colorado University, and Lindenwood University. The application process has been somewhat time-consuming, since each one wants different sorts of samples and references. So far, I have been accepted to Lindenwood and Emerson. I haven’t heard from Western, as of yet. Graduate school is a costly thing, and low-residency programs don’t normally have many funding opportunities. Emerson has offered me a small scholarship, but it doesn’t make much of a dent in the financial responsibility. Lindenwood costs less, but doesn’t have quite the same reputation as Emerson or quite the same foothold in the publishing industry. Lindenwood is a general writing program, but can be customized pretty heavily to include genre fiction. Emerson’s MFA in Popular Fiction Writing and Publishing is pretty specific, as evident by the name. I will spend the next few days pouring over websites, Googling instructors and alumni, reading samples from their books, and trying to make the best decision for me, my family, and my career. Speaking of my career, I am back to working on the second draft of my novella, Mama’s Little Boy. I wrote many things in Berkeley’s program, including non-fiction and book reviews. I’m going through the submission process for some of that, as well. ConQuest, Kansas City’s annual science fiction and fantasy convention, is coming up in May. I’ll be there, probably on some panels. Nothing gets you excited to write like spending a few days talking about writing. In addition, Neil Gaiman is coming to Lawrence in November for a lecture. I’ve often said that Gaiman is this generation’s Bradbury, a sort of inspirational writing figure who is both artistic and popular. He loves writing, and that love shines forth from him. It should be a big year for my development as a genre writer, one way or another. Have I been horrible about posting lately or what? For that I apologize, but we are coming up on one of my favorite times of the year, ConQuest in Kansas City (and my birthday). ConQuest is a long-running science fiction and fantasy convention. As usual, I will be taking part in several panels, which I will list here. You can find the full schedule here. 3:00 PM – So, You Want to Be in Pictures – Jim Yelton, Leanna Brunner, Bryn Donovan, and I will discuss screenwriting and the applicability of its skill set to writing prose. 5:00 PM – Horror Novels/Short Stories Everyone Should Read – Earline Beebe, Sherri Dean, Jonathan Mayberry, and I recommend the best in horror fiction. 11:00 AM – I will be reading, along Donna Wagenblast Munro. 1:00 PM – Comic Book Television and Film: Boom or Bust – Marshall Edwards, Brendan Beebe, Matthew Munro, and I will be talking about comic adaptations. Which are good, which are bad, and when the bubble is going to burst. 3:00 PM – Why Write Short Stories? – Karen Bovenmyer, Sean Demory, Dora Furlong, and I will be talking about the short story genre and why it is still important, despite diminishing markets and diminishing pay. 5:00 PM – The Running Man: The First Hunger Games – Craig Smith, Brian Pigg, Michelle Stutzman, and I will be talking about Stephen King’s The Running Man and its influence. 10:00 AM – Can Writing Be Taught? – Lynette Burrows, Jesse Pringle, Rachael Mayo, Paula Helm Murray, and I will be discussing a writer’s education and debating whether or not writing can truly be taught. 12:00 PM – A Writer’s Library: Books Every Writer Should Read – Lynette Burrows, Brooke Johnson, Rachael Mayo, Paula Helm Murray, and I will be discussing a writer’s library and what books belong in every writer’s toolbox. It is going to be a busy weekend, but it should be a lot of fun. Hopefully, I will also get some homework done between the paneling and socializing. If you haven’t made plans to join us yet, check out the website: www.conquestkc.org. There will be cosplay, gaming, a dealer room, and an art show in addition to the panels. ConQuest 46 in Kansas City! We are less than one week away from ConQuest 46 in Kansas City, MO. You can find the complete schedule here. I will be making a bunch of appearances, this year. Here is where you can find me. Friday 5:00 PM Is It REALLY Gothic? – Tim W. Burke, Orrin Grey, and I will be discussing how the definition of Gothic has changed over the centuries. Friday 10:00 PM Body Horror: The Last Ewwww – Tim W. Burke, Orrin Grey, Sherri Dean, Holly Messinger and I will discuss the sub-genre known as “body horror” This will be a 18 and up panel, due to the potential for adult conversation. Saturday 10:00 AM Tips and Traps: Navigating the World of Short Story Submission – Lou Antonelli, Steven x Davis, Lezli Robyn, and I will give tips on how to go about submitting your short stories to markets. Saturday 12:00 PM The Horror, The Horror: Dark Fiction and Society – Penny Cockrell, Sean Demory, KD McEntire, Adam Mills, and I will discuss the relationship between the horror genre and society, and the way that relationship has developed over the years. Saturday 1:00 PM NaNoWriMo- 30 days – 1 novel: JR Boles, Sarah Bredeman, Penny Cockrell, Sara Lundberg, and I will discuss National Novel Writing Month and talk about how you can get involved. Sara will also be bringing some swag from the Office of Letters and Light, the organization that hosts National Novel Writing Month. Saturday 3:00 PM Vampires, Werewolves, and Zombies: Are they still relevant? – Rob Chilson, Penny Cockrell, KD McEntire, Christina Alexis Lord, and I will discuss the old horror tropes and how well they translate (or don’t translate) in to modern horror. 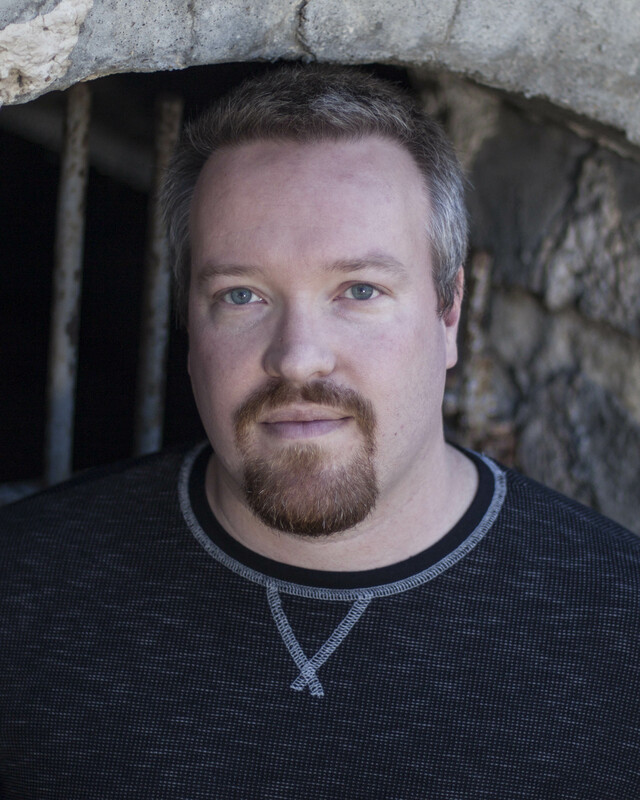 Saturday 9:00 PM Taboo plots, sub-plots, and subjects – Brett Williams, Kij Johnson, and I will discuss taboo plots and how to utilize them within fiction. This is an 18 and up panel, for obvious reasons. Saturday 10:00 PM Late Night Scary Stories – Sean Demory, Jude-Marie Green, Orrin Grey, and I will be reading our favorite scary stories. Sunday 11:00 AM Reading – I will be reading from All Manner of Dark Things: Collected Bits and Pieces. I will also read a scene from one of my current works in progress. It should be a great time. I always have fun at ConQuest, although I am a bit sad that I won’t get to defend my Story in a Bag championship this year. I have panels that conflict with the short story contest. I will have books for sale and am always happy to talk about genre fiction. You might even find me in some of the floor parties after convention hours. I’ll see you all there. If you don’t have tickets, they are still available at the door. Sara and I had a great time at ConQuest last weekend. Sara bought me the Shadows over Innsmouth anthology for my birthday, which is full of stories based on Lovecraft’s “The Shadow over Innsmouth.” I picked up a Miskatonic University School of Library Science shirt, and we got a bunch of good stuff from the charity auction benefiting AboutSF. I also had good conversations about books and writing with local horror writers Sean Demory and Brett Williams. Make sure to check their stuff out, or catch them at Crypticon this year. Sara and I saw this as potentially being our last ConQuest solely as fans. Sara’s editing career has officially launched and with my last English class out of the way, I am able to re-focus on writing. Next year may be more about career-building. I’ve had fun analyzing other people’s works. I’ve learned a lot from it, but it is time to see if all the studying pays off in creative dividends. If nothing else, I’ll have a lot to talk about with other book nerds at parties. I defended my Story in a Bag Championship, taking home the award for best horror story in the professional division. Once again, I was unopposed. Sara actually competed against people and won the amateur division, although with two short story sales, right on the edge of joining the professional ranks. In Story in a Bag, you write a five page short story in one hour using plot devices that you draw out of a bag. I enjoy it as a writing exercise. So much of my writing style is based upon my first line. Story in a Bag takes control of the first line away from me, which forces me in new directions. This year’s story, “Hail to the Bus Driver,” is pretty solid. I’ll be rewriting it, probably for next Monday’s Confabulator Cafe posting. I’ve had good experiences with the stories I’ve produced during Story in a Bag. Last year’s turned out well and was posted at The Confabulator Cafe. The prior year’s was disqualified, the story took me too deep to finish in an hour, but it created a character whom I plan to use in an occult noir detective novel. I’ve also decided that I need to write more poetry. I had the inkling to write a poem last week and produced something like a cross between Dr. Seuss and Neil Gaiman. I’ve got a large number of short stories at this point, and have been thinking about collecting them at some point. Some poetry could help break up the pace. I’ve always enjoyed how Gaiman intersperses poetry throughout his collections. ConQuest is the beginning of the writing fiscal year for me. The con recharges my creative batteries and kicks off summer when I have more time to write. It should be a good year, the year of the re-write. I’ve got a lot of stuff that I’ve written over the last couple of years that I didn’t get a chance to edit, including a novel and a novella. I can’t wait to get back to the grind and see what happens by next year’s ConQuest. The number of horror panels has increased each year at ConQuest. Next year, I’ll be throwing my hat in to the ring as a panelist. I am thinking about pitching a panel about short horror fiction, or how social contexts affect the horror genre. Sara would like to do something about National Novel Writing Month (NaNoWriMo). It has come up several times in panels, but we haven’t seen any panels specifically about it. Whatever happens, I’m sure it will be fun. Next year, Brandon Sanderson, George R. R. Martin, Nene Thomas, Selina Rosen, and Mark Oshiro are the guests of honor. You don’t want to miss Selina Rosen as toastmistress. You can register here if you are interested. ConQuest, the science fiction and fantasy convention, is hitting Kansas City this weekend. Sara and I go every year. It is generally a birthday celebration for me. This year, my birthday lands on Memorial Day–otherwise known as ConQuest recovery day. Every year, it seems that I have more and more friends that I look forward to seeing. It’s great to catch up with what everyone is doing, and I always leave with my creative batteries charged, ready to take on the literary world. You can see the programming on their website: www.conquestkc.org. As you can imagine, I dig the noir theme this year. There appears to be some good horror programming this year, as well as readings from local KC-area scribes Brett Williams, Sean Demory, Karin Rita Gasterich, Holly Messinger, Sheri Dean, and many others. R. L. Naquin and Kevin Wohler are both in my writer’s group, and will be there. I’ve been reading the Garrett, P.I. series, and am looking forward to the guest of honor Glen Cook. I’ll also be defending my “Story in a Bag” Professional Horror Division title. It should be a lot of fun, and it might be one of the last ConQuest’s that I can attend more for pleasure than work. I can’t wait to see everyone out there, and I will be sure to share my thoughts after the weekend.